By Bus: Nos. 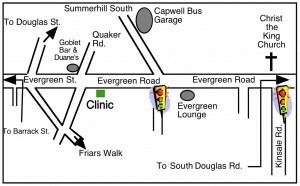 3 & 6 stop near the junction of Summerhill South and Evergreen Road, about 200m from the clinic. We are less than a ten-minute walk, or just a few euros and 5 minutes by cab from the city centre. 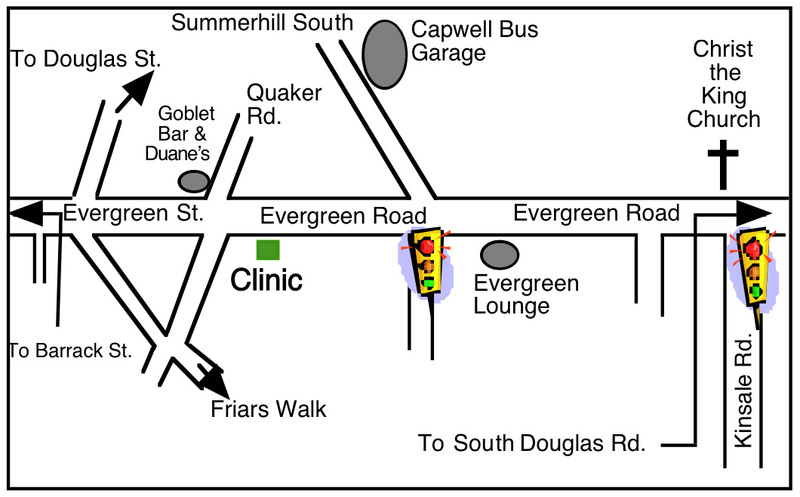 We are open Monday to Friday, 10am to 6pm.